For central heating and cooling systems with closed circuits, for operation with non- aggressive fluids (e.g. water or suitable water and glycol mixtures according to VDI 2035). All functioning components in one plane. Oventrop differential pressure regulators are proportional regulators working without auxiliary energy. 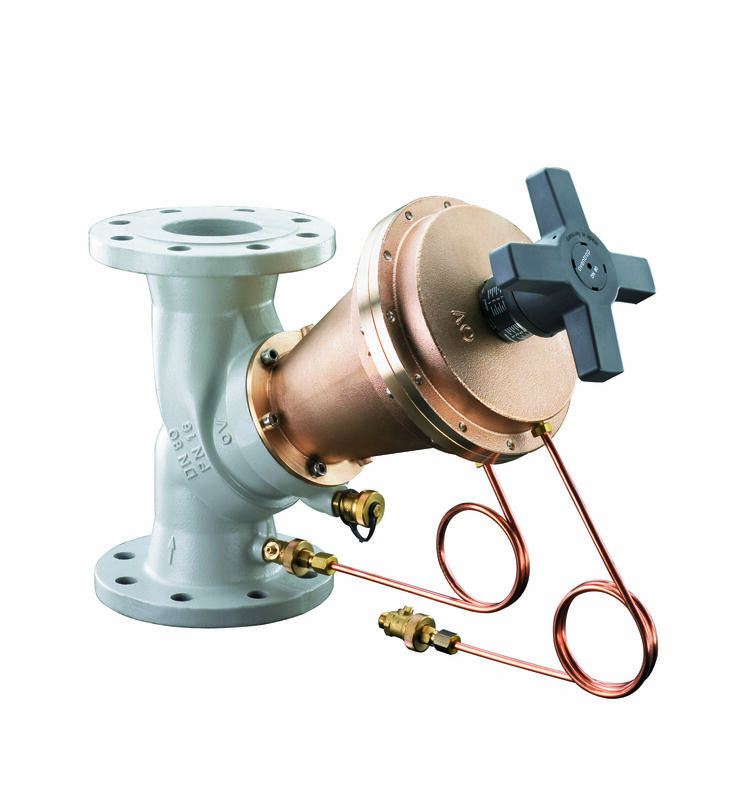 They are used in existing or new buildings for a local or central regulation of the differential pressure. 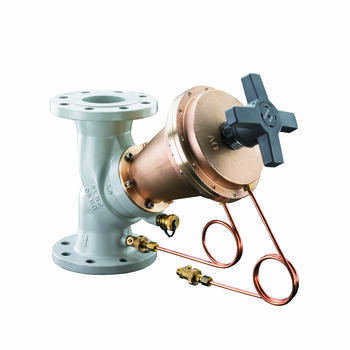 With the differential pressure in the installation increasing, the valve disc closes down to maintain a constant differential pressure within a necessary proportional band. The differential pressure is set to the required nominal value. The nominal value is infinitely adjustable and lockable. 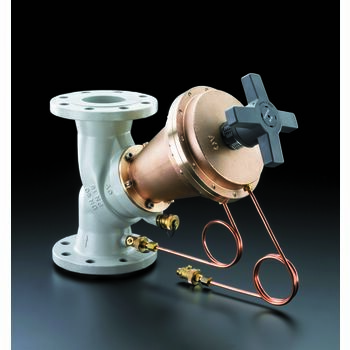 The differential pressure regulators are designed for installation in the return pipe. The regulators are supplied complete with connection set (capillary length 1 m). Lengths according to DIN EN 558-1, basic series 1. Bonnet made of bronze, stem made of brass resistant to dezincification (DZR), disc made of stainless steel with EPDM seal. Maintenance-free stem seal du to double O-ring made of EPDM.